Formed through hot or cold rolling, stainless steel strip offers many advantages over conventional steel such as increased corrosion-resistance, tensile strength and ductility, as well as cryogenic toughness. In addition, stainless steel strip offers total recyclability, creating increasing demand amongst environmentally-friendly consumers. Stainless steel strip is a common mill form of stainless steel and is typically stocked in three types: heat-treatable, non-heat-treatable and pre-hardened. Stainless steel strip is formed to fit desired applications through processes such as slitting, edging, annealing, shearing, polishing, tempering and additional custom finishing. Most typically made into coil, stainless steel strip can also be made into shapes such as channels, frames, trim and angles. Some additional applications of stainless steel strip include catalytic converters, building materials, compressor valves, hospital equipment, cutting tools, consumer appliances and electronic enclosures. Stainless steel strip is often used in industries such as telecommunication, medical, aerospace, construction, automotive, electronics, petrochemical and food processing. Manufacturing stainless steel strip is a multi-step process. First, the raw materials are melted together in an electric furnace for 8 to 12 hours, until they reach their recrystallization temperature. 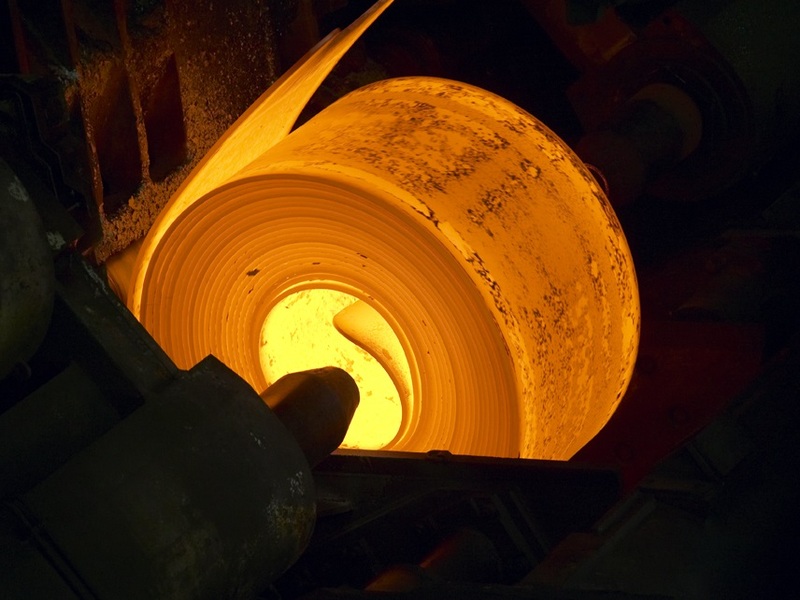 The molten steel is then cast into semi-finished forms called blooms, billets, slabs, rods and tube rounds. The unfinished shapes then undergo a forming process such as cold rolling, in order to become stainless steel strip. The cold rolling process is not done at temperatures that are generally considered cold, but at temperatures that are below the recrystallization temperature of the metal. 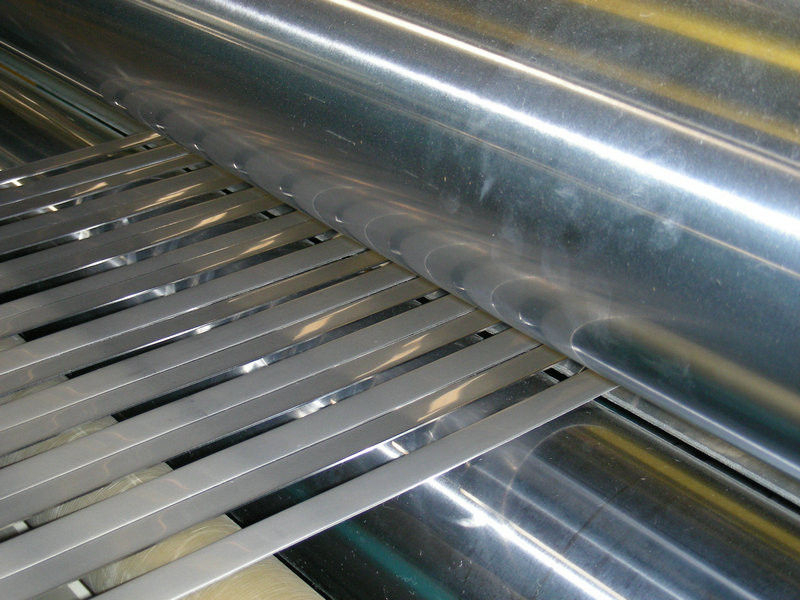 During the cold rolling process, stainless steel strip is pulled between rollers in order to be compressed and squeezed into the desired shape, which for strip is very thin with a length that is many times its width. Heat-treatable stainless steel can also be hot rolled, which is generally the same process except the process is done at temperatures that are above the recrystallization temperature of the metal. The most common grades used to form stainless steel bars include 304 and 316. The 300 series are types of austenitic stainless steel, meaning that they are useful in mild, harsh and corrosive environments as well as being non-magnetic. Stainless Steel Strips Stainless steel strip is a flat-rolled, very thin sheet of stainless steel.